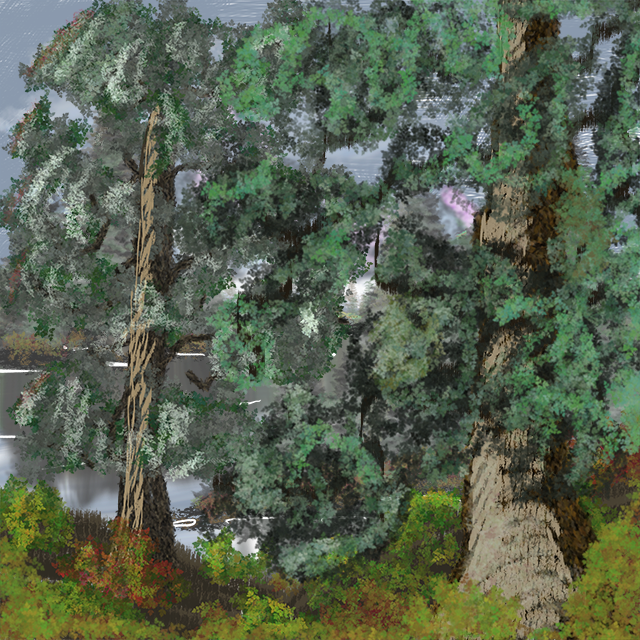 Doing some Bob Ross Photoshop paintings – "On Game Design"
With the above two trees, I really like how the tree bark came out. At this point, I still didn’t know how to make my own brushes in Photoshop. 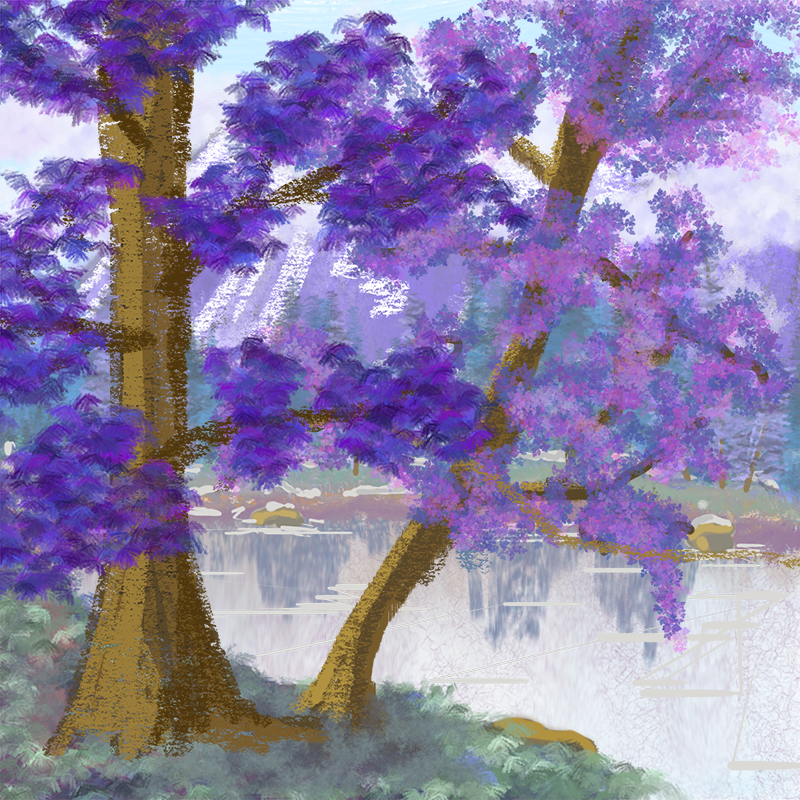 I think I overused the leaf brush in the one below. 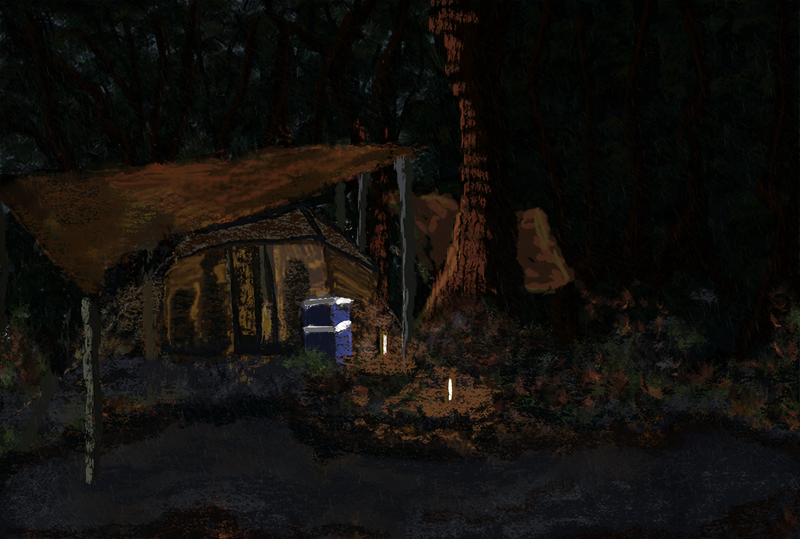 I did the above painting entirely with a rectangular brush. I really like the mountains in that one. 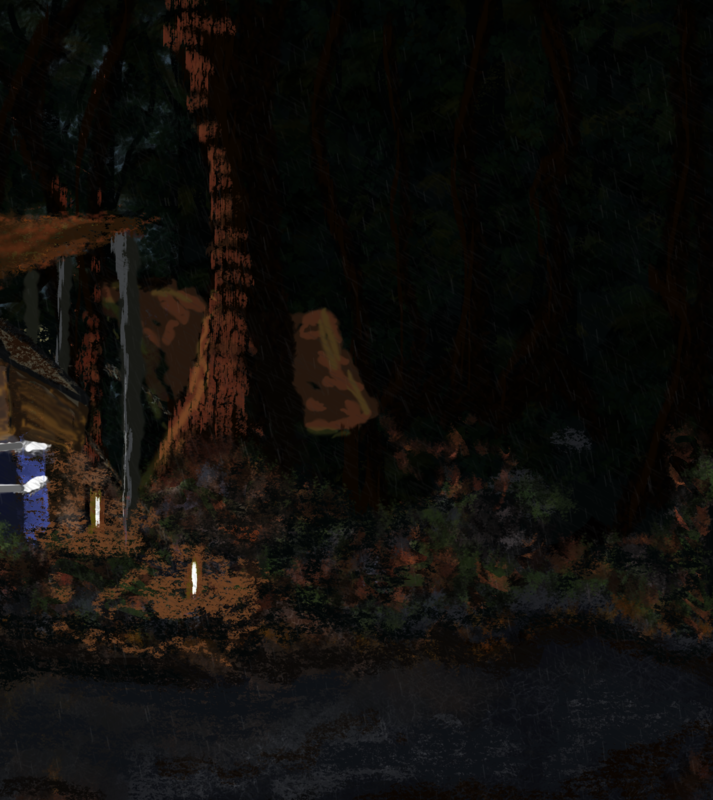 I did this camp painting above based on a reference photo I got on Google Images, but i can’t find it now. 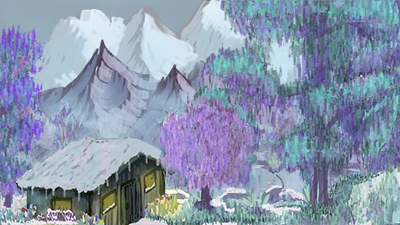 I like how a lot of things turned out in this one, but especially the right half of the painting. I put a zoomed version below. For this painting, I finally learned how to make my own brushes. It makes a big difference. 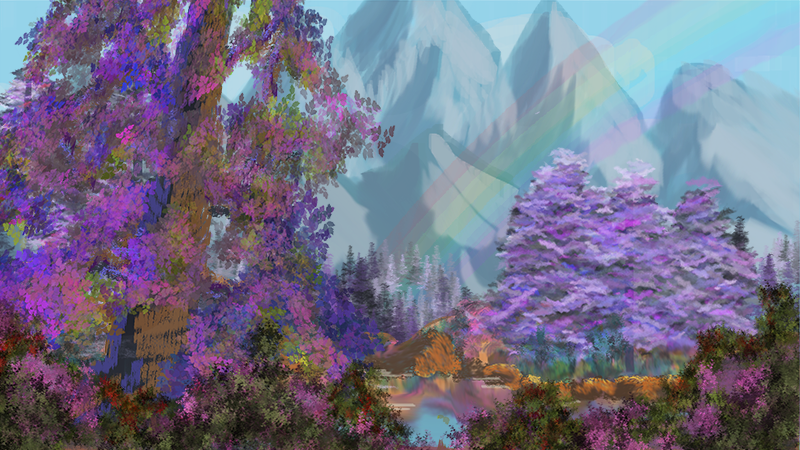 Tagged Bob Ross, Google Images, paintings.